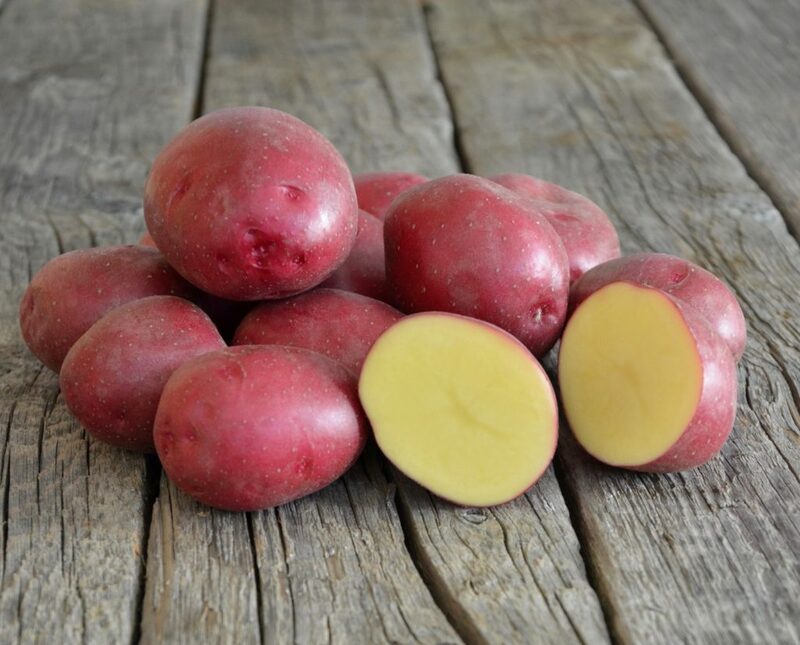 Red Apple is a beautiful deep red-skinned variety with a pale yellow flesh colour. Red Apple is a second early maturing variety with a fairly high set. This high-yielding variety has a wonderful taste and a refined texture.